This month, we’ve enlisted the help of one of our favourite male beauty bloggers, also known as Thom; writer and founder of the Manface blog. Manface is a blog dedicated to all things grooming and beauty, so that you can read honest product reviews and gain some beauty tips along the way! 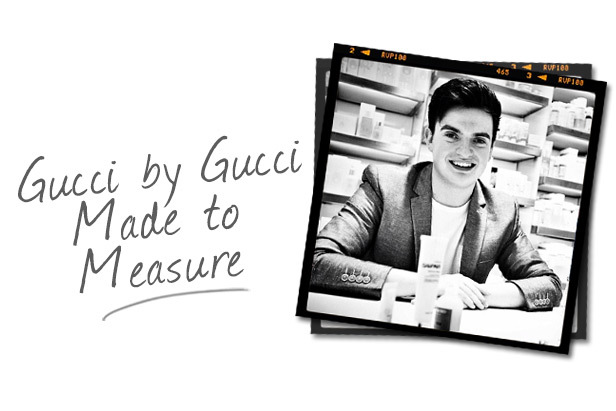 Read on to find out what Manface thinks of the new masculine scent from Gucci – Gucci by Gucci Made to Measure. 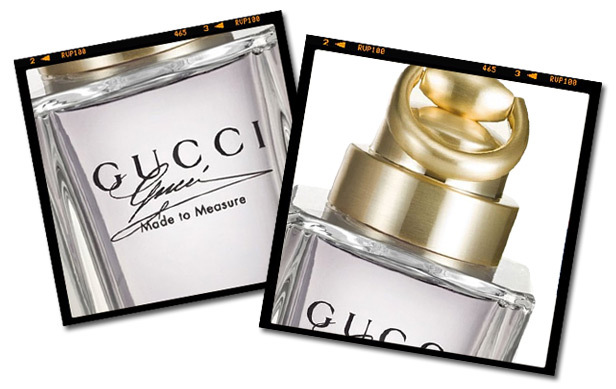 Made to Measure is a new fragrance from Gucci, released just in time for Christmas 2013. Whereas many brands take something good and continually repackage and rebrand their creation, Made To Measure, the male counterpart to Gucci Premiere, is completely new. “Tailor-made like an expensive suit”, this solidly glass-housed and heavily metal-capped bottle delivers a fabulously accessible fragrance. At first, I noted an overwhelming watering of apple, akin to one of my favourite launches of the year, Versace Eros. But it’s plum and bergamot you’ll actually find amidst the more noticeable notes of lavender, leather, cinnamon, amber and orange blossom. It’s a safe fragrance that’s suitable at any time, being light enough to wear during the day but heavy enough for an evocative evening aroma. This is definitely something to be worn with clean pressed cotton, a freshly laundered shirt perhaps, or following Gucci’s advice, a Made to Measure suit. I think clean cotton brings out this fragrance’s delicate notes, whereas it might get lost on a jumper or something heavier. Don’t be afraid of overpowering your date/friends/loved ones with this scent, as it stays gorgeously light but undoubtedly noticeable. I’d say it’s the sporty man that’d enjoy this, a man who isn’t alien to carrying around a gym bag. It’s a zippy fragrance that exudes a gym-fit masculinity; a man that both plays and works hard. So while thinking about Christmas, Fragrance Direct are stocking all possible incarnations of the fragrance, making some gorgeous gift ideas. The 50ml Eau de Toilette is £39.95 and comes with a free, 50ml All Over Shampoo. Then there’s the stunning Gucci Made To Measure Travel Spray (30ml for £29.95), I really want this with its inspiration taken from the Made to Measure suit fabric. Finally, there are the two gift boxes featuring a 50ml or 90ml fragrance, aftershave lotion and all over shampoo. Will you be trying Gucci by Gucci Made to Measure? Let us know by leaving a comment below. My very best wishes to Thom. You have made a good choice; his reviews are impartial, extremely readable, and pleasantly witty. I shall be in town next week, and I shall certainly take a little whiff of Made To Measure. Pip-pip!